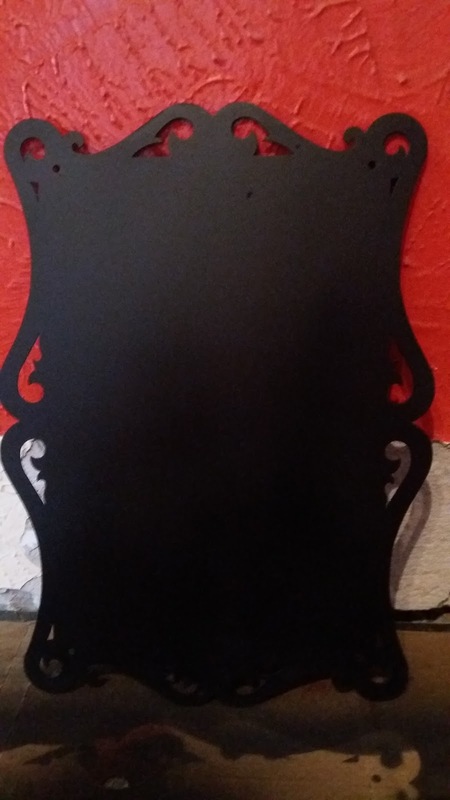 Tales From A Geordie Goth : My new chalk board. I've finally jumped on the band wagon and used chalk paint. I've wanted a chalkboard for the kitchen but to no avail found nothing. On my last thrifting haul, I came across a load of amazing goodies. All I can hear it the jingle of the black spray paint. I also found that this metal board for a pound, I loved the shape and swirly parts of the board. 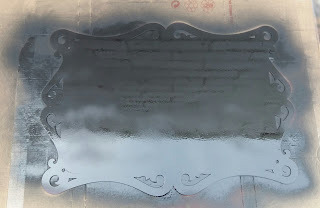 I bought a tin of black of chalkboard spray paint, so I've really wanted to use it but never knew what to do it with it. 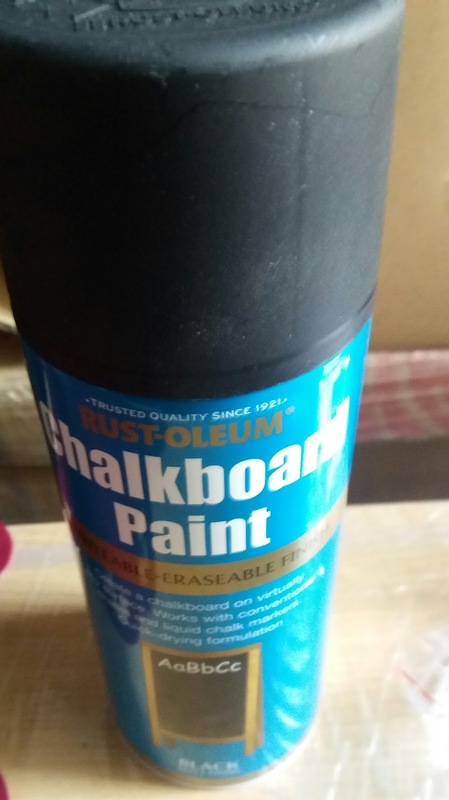 I purchased Rustoleum chalkboard spray paint for a fiver from Boyes. 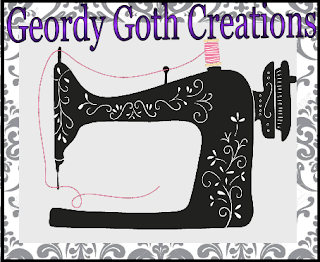 It was my first time using the paint, so I felt apprehensive, but I'm delighted to say it's very easy to use. I wiped the board clean with a baby wipe to remove any dust or dirt. No sanding or primer required. I waited for it to dry, and I lightly sprayed the painted the board moving from side to side. It took about an hour to dry. 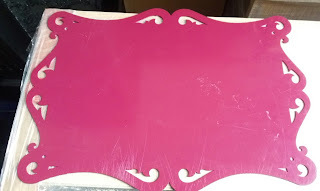 I sprayed both sides with one coat using the paint. Below the first coat and dried the matt. I followed the recommendations and waited 24 hours before for applying a second coat. I'm over the moon about the transformation and look forward to hanging in my kitchen when it's finally done. Surprised, how easy the chalk spray paint was to use. Love the scale and I think the chalk board is really nice! 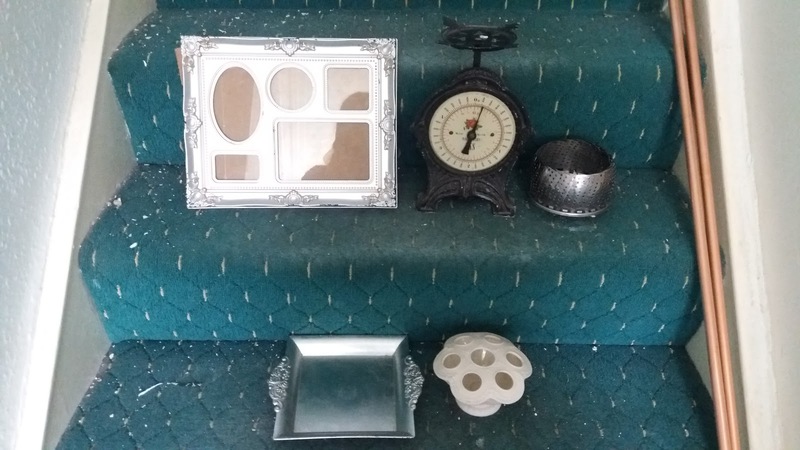 Thanks, I love the scales, especially the ornate detail. I'll fit in with my witchy cottage scheme for the kitchen. Thanks, I really love it. I like your idea of painting the one the isles with chalk board paint. Great idea to make the cool shaped tray into a chalkboard! To be honest I don't what it is. I like the shape and it worked out cheaper than buying something brand new.